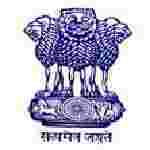 UPSC Divisional dental Surgeon recruitment 2016-17 notification apply for 23 posts : Union Public service commission (UPSC) welcomes application for the position of 23 Dental Surgeon and Assistant Divisional dental Surgeon vacancies. Candidates who completed their Medical Qualification is a good opportunity.The individuals who are the occupation seekers searching for govt employments in India this is the best chance to apply. Competitors read the official notification then read all the guidelines and miners precisely then apply before the last date online application got. All the interested and eligible candidates can apply online before 11th August 2016. Candidates Age Limit: The age of the candidate is 35 years. The age of the applicant should be as on 11th August 2016. Academic Qualification Details: Candidates should have degree included in part I or part II of schedule to the dentist act, 1948 (Act of 195=48) and applicant should be registered with a dental council of India / state and three year experience of dental work as a hospital or in private practice. Official website: All the interested and eligible candidates can apply online through official website of union public service commission www.upsconline.nic.in on or before 11th August 2016. Important Dates: All the interested and eligible candidates can apply online before 11th August 2016.